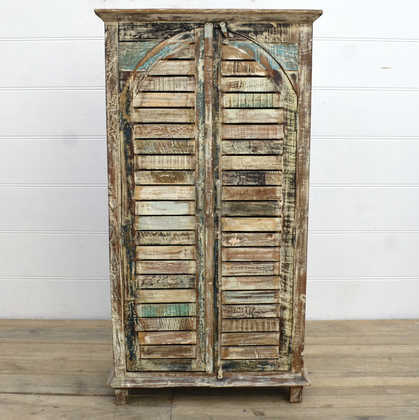 Large cabinet with curved, slatted doors and internal shelves, made with reclaimed wood. 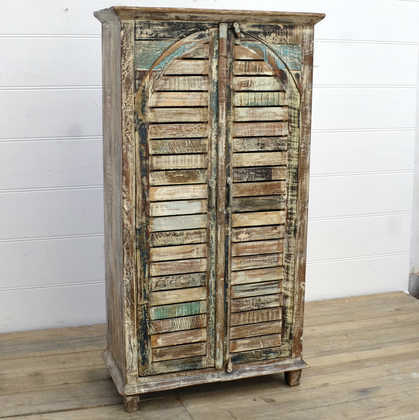 Made using reclaimed wood in India’s most colourful region of Rajasthan, this large colourful cabinet is a real showpiece. 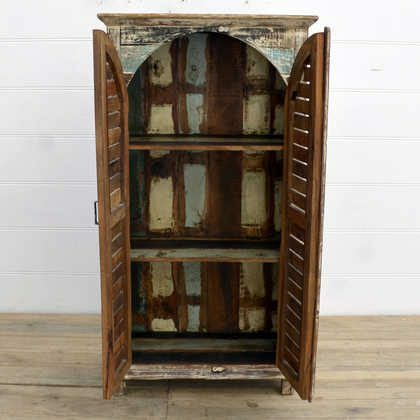 It’s slatted doors have curved tops, creating an archway in the doors frame. 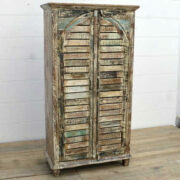 Inside the cabinet are two large shelves, making three generous spaces for storage. 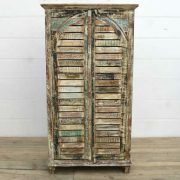 The colouring of the of the piece is colourful yet subtle, flashes of distressed paintwork combine with natural wood grain, finished all over in a whitewash which gives this piece a seaside feel. 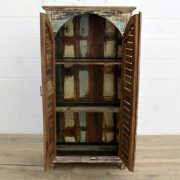 The colouring extends to the internal shelves, completing the cabinet. Perfect to add some special to your kitchen, dining room, hallway or bathroom.